Sitting on a horse may not seem like an obvious form of exercise. However, horse riding pretty much involves all the muscles in your body, between ensuring posture and balance, and controlling the horse. 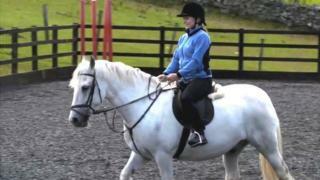 Get Inspired reporter Louise Andrew saddled up in the Borders to find out more about the benefits of horse-riding.